Tino Kadewere has revealed that he turned down several offers and opted to join French Ligue 2 side Le Havre AC. The 22-year-old completed his transfer from Swedish club Djurgårdens IF two weeks ago, signing a four-year contract. The player had spent three years at the Swedish club, scoring 13 goals in 43 appearances. 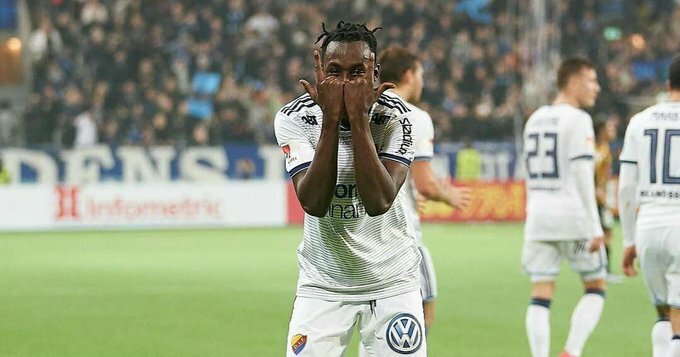 In an interview with the French media, Kadewere said he snubbed offers from top Belgian sides Standard Liege and KV Oostende as well as USA’s Major League Soccer (MLS) side Real Salt Lake. KV Oostende was home to Warriors captain Knowledge Musona before his move to Anderlecht in May. “I had a lot of offers, especially in Belgium. There was the Standard Liege offer and KV Oostende, for example,” Kadewere said. “I also had an opportunity in MLS, with Real Salt Lake. But I chose Le Havre because of the team’s history and because the French championship is very competitive. The former Harare City forward is expected to return to full fitness in October after suffering a knee injury during training last month.